As promised, we've finally unleashed our new WEC Highlanders on an unsuspecting world! Given the number of queries I’ve fielded about these wee chaps I am sure that there will be loud cheers ringing around parts of the world and the odd glass of spirits raised in toast. The original ECW range had just the one code covering these chaps. 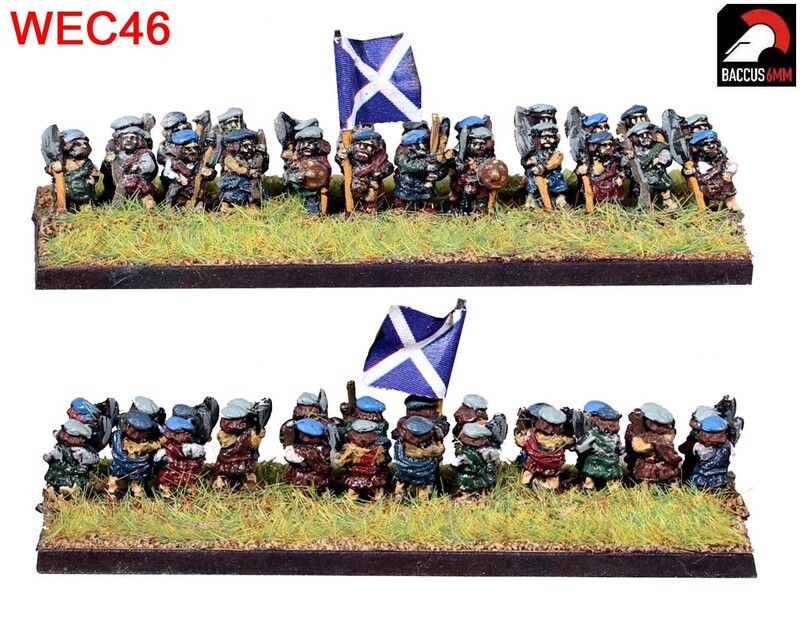 We've elaborated a bit on the new figures and you now get the posh highlanders armed with sword, targe and attitude, and the lower class sorts armed with an assortment of axes and musket (and attitude). We also do these in standing around mode and in full charging being quite aggressive mode. All of which makes for some very spectacular and suitably motley units. You can find all the details and prices HERE. 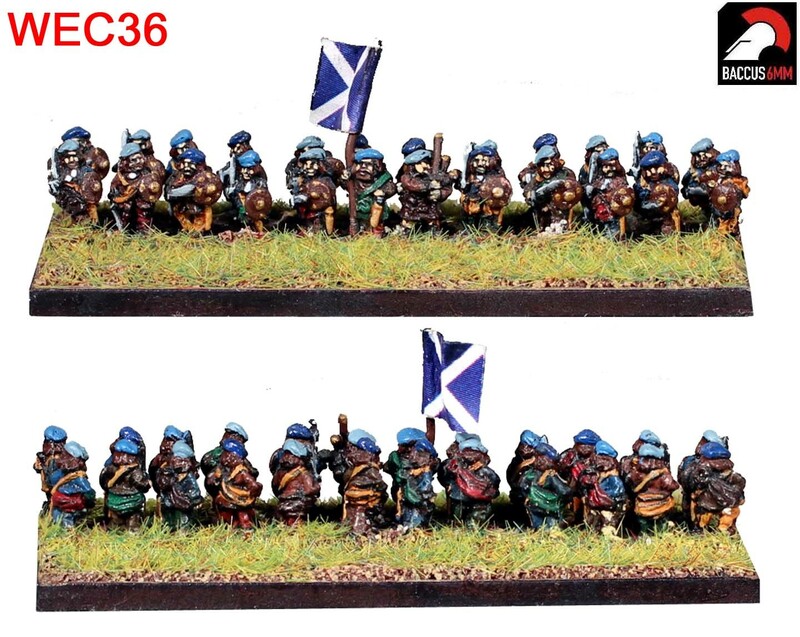 These chaps were officially released at Salute, and were part of the reason why Lindy and me were run ragged all day. We had a great show and it was nice to see all of you who attended, even if we didn't get much time to chat. However, the biggest story to come out for the show to my mind was the news that the best Participation game at the show was won by Peter Riley and his Wargames Collection Calculator team with his Little Big Horn game. Let's put this into context; there were SIXTY games in this category, done for the most part in 28mm and with some big and spectacular terrain builds. A 6mm game beat the lot of them and huge credit must go to the WCC team for this success and I am sure that you'll all echo my sentiments when I say 'Well done!' A superb effort and just rewards. This entry was posted on Tuesday, April 9th, 2019 at 10:44 and is filed under News. You can follow any responses to this entry through the RSS 2.0 feed. You can skip to the end and leave a response. Pinging is currently not allowed.